In the notorious Hanoi Circus, traumatised young bears are forced to ride motorbikes, terrified macaques are strapped to dogs and a python is forced into a performer’s mouth. Backstage majestic elephants strain against short chains on a concrete floor while moon bears rattle their dark cage bars. This is the reality of animal performance which the public rarely sees. 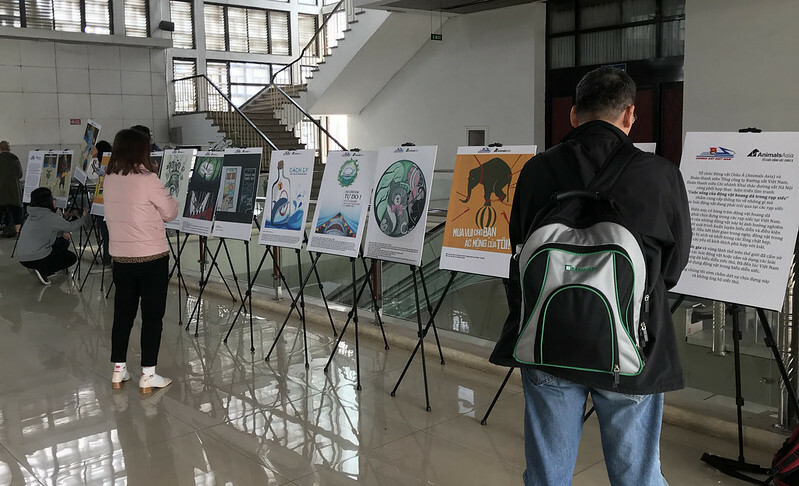 In Vietnam, animal circuses featuring protected species such as moon bears, elephants, macaques and pythons are openly advertised and aimed at families and children. But Animals Asia is fighting back. 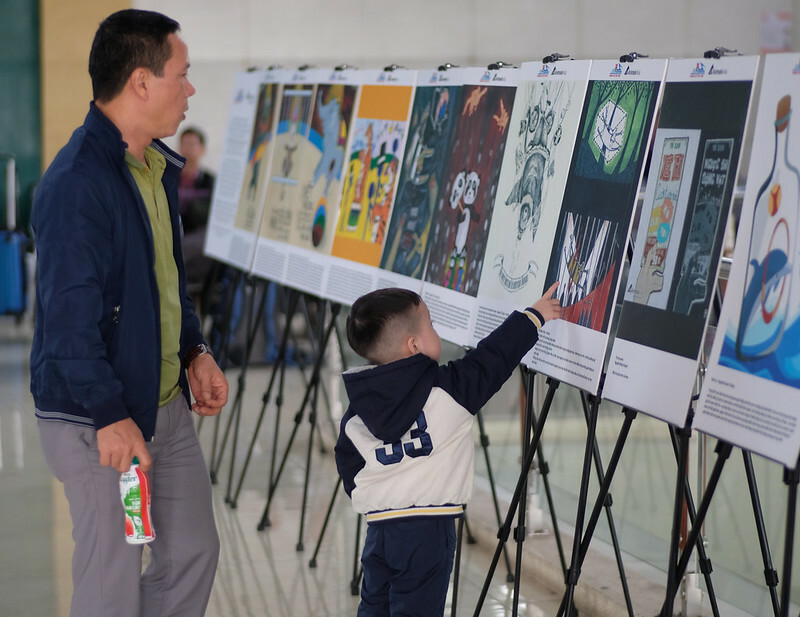 A poster exhibit has opened in Hanoi Railway Station, just a stone’s throw from the brutal circus. Here, thousands of passengers over two months will see imagery revealing the cruel reality of animal performances. An Animals Asia investigation from 2017 revealed the shocking scale of the animal performance problem in Vietnam. The report revealed 19 species were being abused, six of which are protected under Vietnamese law and their sale or exploitation for commercial purposes banned. A shocking 100% of the 16 facilities investigated failed to meet the animals’ basic needs with hundreds of animals being kept in isolation in tiny cages or chained up for long periods of time. To date, no facility has been able to explain how they obtained protected species yet the authorities have declared the necessary paperwork is in place. 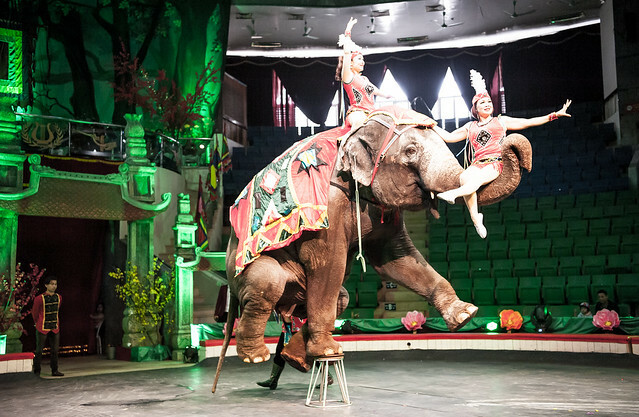 An Animals Asia petition calling for the end of wild animal performances in the country has been signed by 120,000 people and will be presented to the Ministry of Culture, Sport and Tourism at an upcoming meeting in May 2019.